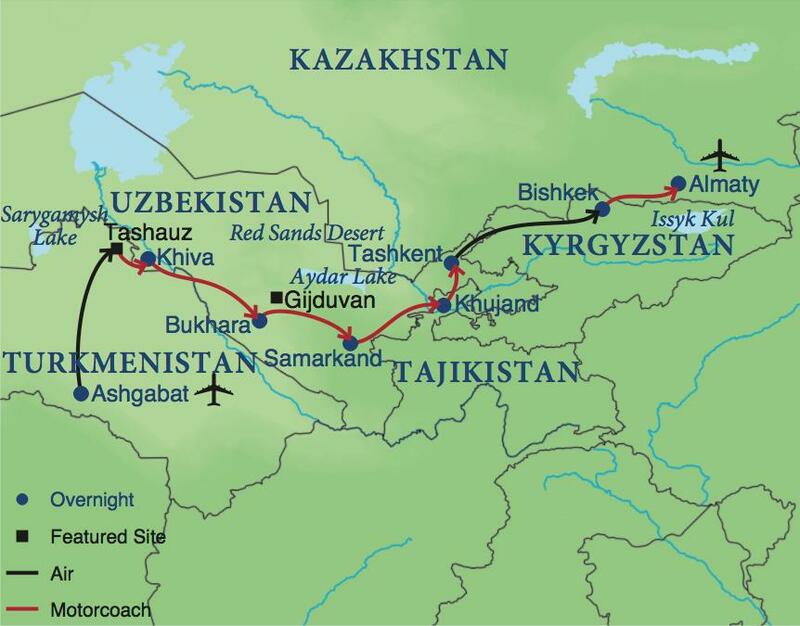 Central Asia is the exotic heart of the Silk Road, ancient caravan routes used for the silk and spice trade between East and West. 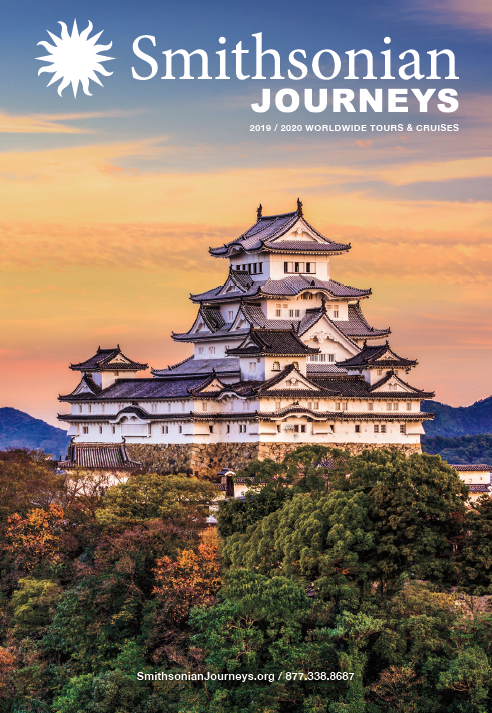 Experience the past and present of the five “Stans” on this once-in-a-lifetime adventure featuring six World Heritage sites. Legendary Cities: Trace the ancient Silk Road through Central Asia as you journey to Ashgabat, Nisa, Khiva, Bukhara, Samarkand, Khujand, Tashkent, Bishkek, and Almaty. Religious Sites and Museums: Visit historic mosques, including the Tillya Sheikh Mosque with the world’s oldest Koran, and various madrassahs (religious schools). Tour an ancient observatory and museums focused on history, ethnography, and art. Cultural Programs: Meet with scholars and artisans, attend engaging performances of dance and music, visit a traditional Kazakh falcon farm, dine in private homes, and explore colorful bazaars. Spend the day exploring Central Asia’s most ancient living city. The Old Town in Bukhara has a unified feel, drawn together by a central reflecting pool and plaza, by commonality in the structure of the domed bazaars and by the major monuments ringing the old town: the Kalon Assembly, the Zindan Prison, and the Ark Citadel. Enjoy an exclusive meeting with the Scientific Advisor of the Ark Citadel. Finish the day with a walk through Bukhara’s old Jewish Quarter, where in the mid 19th-century 2,500 families of prosperous merchants were estimated to have been living. Spend the morning exploring Tashkent's Old Town with its winding streets, mudbrick buildings and Middle Eastern feel. A visit to Old Tashkent begins with a stroll through Khast Imam Square, where some of Tashkent’s oldest monuments remain. The 16th-century Kaffal Shashi Mausoleum, the tomb of one of the first imams of the Muslim world, and Barak-Khan Madrassah, also 16th-century, are flanked by the 19th-century al-Bukhari Madrassah and the early 20th-century Tillya Sheikh Mosque, which houses the oldest Koran in the world. After lunch, transfer to the airport for the flight to Bishkek, Kyrgyzstan. Upon arrival, transfer to the city center for check into the hotel.